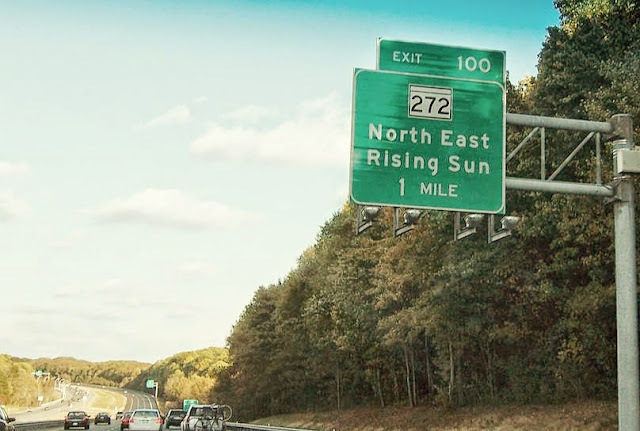 Look for Exit 100 to take 272 South towards North East. I love reading articles written by local residents about their hometowns. They have a perspective that is so different from some of the touristy articles about the same areas. 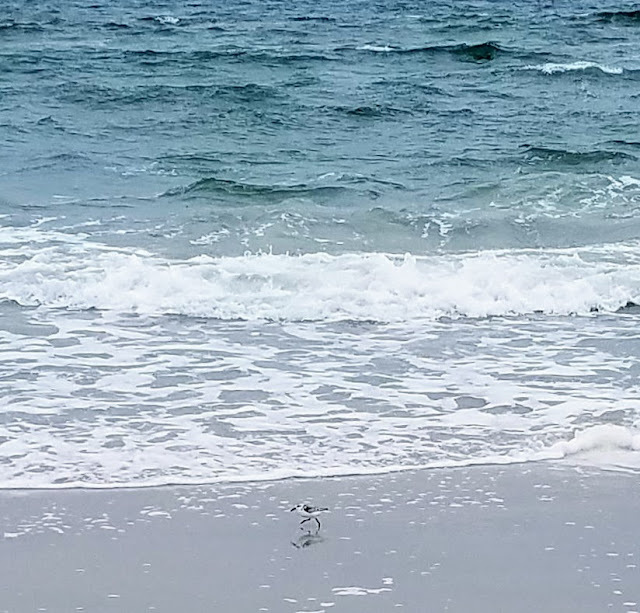 Since I love writing and live in a beautiful little town that folks love to visit, I thought I would pen my thoughts about the town. First of all, although I have lived here for almost ten years, the real locals still consider folks like myself as the newcomers. No, I did not go to high school here and I do not have any family in the vicinity so therefore I am new. 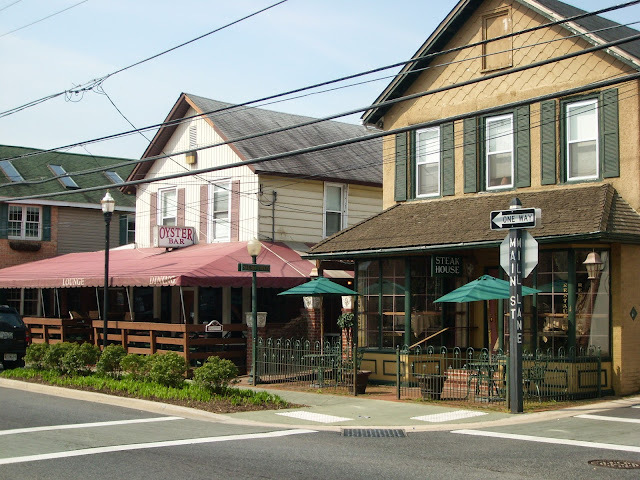 North East, Maryland is right smack dab between Philadelphia and Baltimore just about a mile from Exit 100 on Route 95. As you come down Route 272 which runs straight south through the town, you will come past the commercialized area where you can get your fast food or stop in at a 'big box' stores. The road then narrows as it comes over the train bridge and you get your first glimpse of the quaint homes that have lined the street since the early 1900's. (Be forewarned that the train bridge is being replaced as of July 2017 and will be under construction for the next two years with at least one lane open at all times.) As the economy improves, the state of disrepair of some of the buildings continues to decrease as the whole town seems to slowly lift from the grip of poverty and its charm comes back to life. The bridge that carries you over the picturesque Northeast Creek is a fine place to get stuck in the traffic that builds up in the summer months before the light. Fun fact: when you leave town, you might notice that the sign for the creek says, Northeast Creek as one word. It seems that there has been a long standing disagreement as to the name of the creek - North East or Northeast. One day we might get it sorted out. So now you are passing a little shop on the right that used to be a gun shop. After a complete tear-down, there is a new modern sandwich shop, the Port House Grill that serves delicious, made-from scratch salads, sandwiches and entrees. They make a filet sandwich with Swiss cheese that is my favorite, but their crab cake is also wonderful. I think they are also offering homemade ice cream as well. Pier 1 is the next restaurant you will see on your right. As a family-run business, they have a very loyal customer base and are open consistently with a varied selection of hearty choices. When you need a place to have breakfast with a friend, Pier 1 is the usual suggestion as most restaurants are not open that early. As you meander farther down Main Street (Sorry, I forgot to mention that Route 272 turns into Main St. at the light,) there are some inspiring shops: Sweet Spice Bake Shop, one our newest shops in town - offering a nice selections of sweets and tempting baked goods, Saffron Creek which offers unique gifts - including Vera Bradley items, and also a tiny little clock shop that is now a chocolate shop, North East Chocolates that also sells Jelly Belly candies. At the site of the old laundromat in the center of town, a new business, Station 26 Ale House, is seeking success by serving several beers on tap and a varied pub menu. They offer live music many nights a week for those who enjoy a little night life. 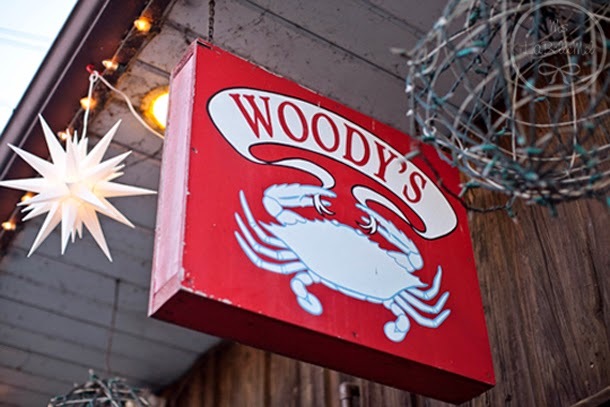 Now, if you turn and look to your right, you have arrived at one of the most well-known restaurants in town - Woody's Crab House and Ice Cream Shop where brown paper covers the tables and fresh Maryland crab is the highlight of the menu. This place has been the draw for tourists since the 1990's when Pete Wood saw North East as a place to start his restaurant. People from all over the world have visited the iconic place and most locals leave it for the tourists to enjoy or as a place to bring their out-of-town guests. My personal favorite is the Dungeness Crab and their bag of perfectly steamed broccoli, but their menu is large and you have to visit there at least once in your life. Visit their Facebook page for a list of their daily specials. If you step back across the street from Woody's, there is a large building called the West Street Village. In the daytime, this is a fun place to stroll through in the air conditioned hallway and look at the clothing shops. So obviously, you would be hard pressed to stop in at every shop in one visit. However, there are still some amazing shops that are a must stop. Let's get on with it. As you pass the crosswalk (yes, it is a law to stop and allow pedestrians the right of way), you will notice some cast iron chairs in front of a window seat. The small door sign says Steak House, but at closer look, you will see that the door is not in use. No worries, the entrance is next door under the awning of the Oyster Bar sign. Two old buildings make up this restaurant we all know as Steak and Main/aka Tony's Place. Yes, you get oysters and steaks here, but plenty more. You can count on excellent food cooked right and consistently.The oyster side is the bar side while the steak side is the fine dining side. 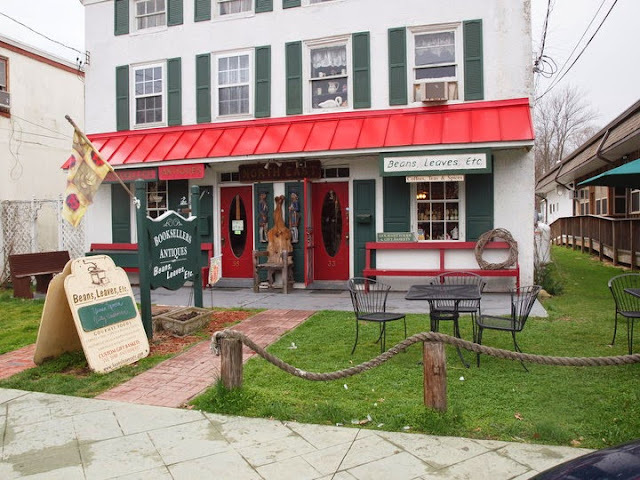 The locals like hanging out on the bar side for great food and a casual atmosphere but plenty of regulars from up and down the East Coast make this their stop off of 95. 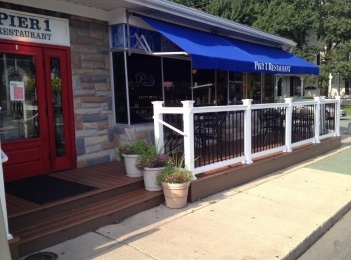 Tony Covatta, the owner, is often seen here talking to the guests and overseeing the place. Sushi is one of the new highlights of the menu with specials rolls offered on Mondays and Thursdays. Happy Hour is just that with discounted drinks and half price seafood, depending on the night of the week. This is my go-to place for when I am too tired to cook and just want good food and great atmosphere. You have to check out all their awards inside - you will feel like you are eating where celebrities belong. The menu is creative and constantly changing and with the addition of a wonderful pastry chef, their desserts are worth indulging in after dinner. Speaking of dessert, you might notice that I don't say much about dessert at most of the restaurants and that is simply because I almost never get dessert. I am a fan of appetizers, occasionally an entree and I always fill up before I can think of eating sweet things. That being said, each of the restaurants in town offers a nice assortment of sweets that you can sample and review yourself. Okay, onward! After leaving Steak and Main, you will see across the street a porch filled with fun signage for your yard - Kathy's Corner Shop. Inside is a wonderful array of artworks from locals, hand made jewelry, t-shirts and sweatshirts, and books about the Chesapeake, (including my own, The Meanderings of a Pen, A Collection of Short Stories). It is well worth your time to check out the treasures she stocks. 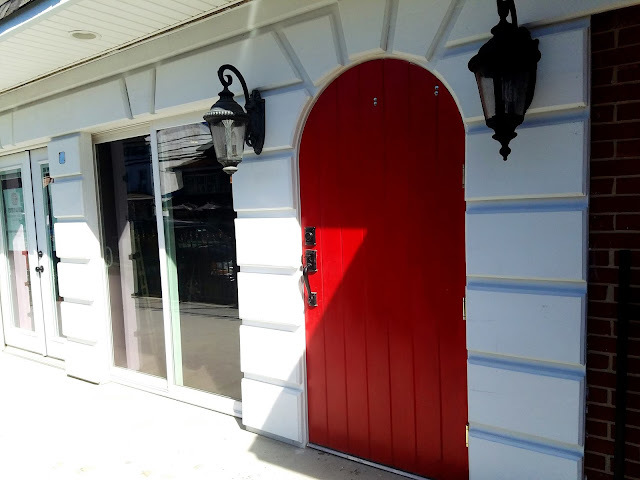 Next is the The Turkey Point Vineyard Tasting Room and Gift Shop. 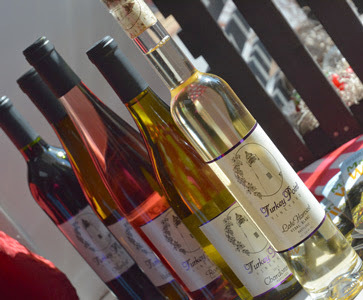 I was able to attend their opening celebration and they do have some delicious wines. My favorite was their Chardonnay, and I really need to go in and try their newest bottles. This is a fun family business that is sure to succeed. As you pass the Town Hall, formerly an old automotive shop, you will see a large three story building across the street called the 5 and 10 Antique Market. This is a great stop for antiquers as the building is filled to the brim with collections from various consignees - the largest antique market in the county. As you walk through the store, you will wonder if you are going to fall through the old floors with their wide pine boards that squeak with every step. Take your time or you might miss that special treasure tucked back in a corner. 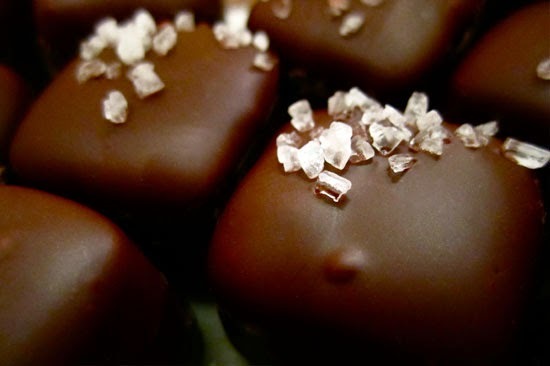 And if you don't notice or smell the wonderfulness, there is a large glass case of chocolates and candies just waiting for your attention as you walk in the door. Speaking of chocolates, I almost forgot the most wonderful smelling shop in town, Beans, Leaves, Etc. situated right next to Woody's. This is a gourmet coffee shop with shelves lined with teas, coffees, herbs and spices. I recommend you stop in here for a cup of your favorite java and sip it as you walk through town. Right next door in the same building is an old book shop/antique shop where they have a box of books out front for a dollar. Perfect for a vacation read. You will often find a few locals in here just killing time that will fill your ear with the local news if you listen carefully. By now, you probably want to come back another day, but there are still some interesting shops as you continue south on Main Street. Within this section, stores change owners more often than other parts of town but a couple have been there for a while - The Silver Buckle - a stop for women's jewelry and handbags, and the School House Gift Shop which is logically in an old school house. 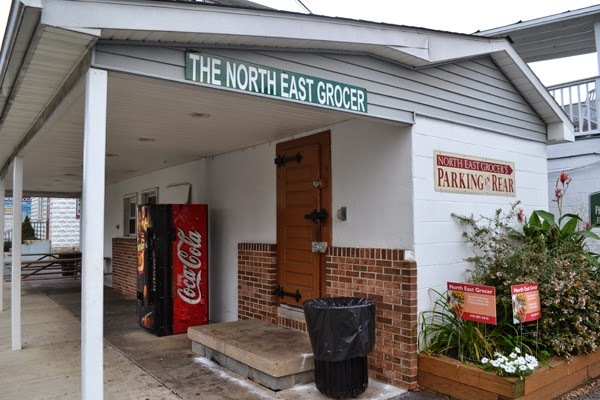 Now you have reached the Deli or more formally, The North East Grocer, the spot in the middle of town where you can get whatever you forgot for making dinner, sandwiches, soups, ice cream, fresh meat and seafood as well as household and camping items. You can sit inside in their newly renovated dining area decorated with artwork from locals or sit out front on their picnic tables. I love their generously sized ice cream cones but have been told by others that their crab bisque is the best around. They have a great website for ordering online as well. A couple of doors down is a nondescript building with an old barbershop light outside and a vending machine for bait. This is the establishment that every fisherman knows for hundreds of miles. You can get your hair cut (guys) on certain days or pick up some fishing tackle or bait from Herb's Tackle Shop. 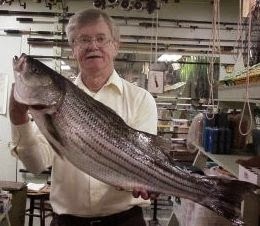 This is a family-run shop where everyone who works there knows the current regulations on fishing, who is catching what or where to go on the water to find the fish. You can charter a fishing expedition with Mike, Herb's son and let him show you where the fishing is good. Eleanor, Herb's wife is almost always there and don't be fooled thinking that fishing is just for guys - she is more knowledgeable in the subject than most folks you will ever meet, especially when it comes to local fishing. 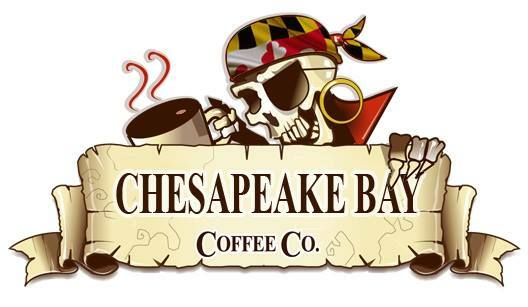 North East has a new sit-down coffee shop at the Chesapeake Bay Coffee Company. 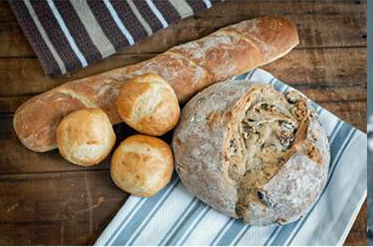 Stop in for a bite to eat from the cafe menu and wash it down with a hearty brew of fresh-roasted coffee beans. On weekends, they offer fresh homemade donuts and often coordinate with other businesses to offer music on the green beside their shop. Keep a watch on this business as they are full of innovation and creativity and you will need to stop in often to keep up with their changes. The next couple of blocks are just for walking as it is primarily residential with churches and the town post office. You can check out more of the cool businesses just off Main Street here, Off Main Street. Great job! And yes, I consider you still a newcomer ;-) I've lived here my entire life (28 years). I can walk that strip mentally and tell you the old names of places that used to be there. I used to walk to 5 and Dime with .50 and leave with 50 hand counted pieces of candy (swedish fish and sour patch kids mostly). I really do love our little town! Thanks, Shirley! It is such a cool town. There are many more places I want to write about next that are off Main Street. Love the article, but you forgot Pier 1. The best family oriented restaurant anywhere. You are right, I did. I will have to mention it in my next article. Excellent article! I was born and raised in this town. The Kramers five and ten cent store was a great place to take my kids when we visited from Florida and while I was growing up, the the school had field trips here as well. 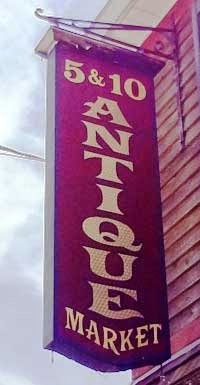 Then it became the antique store, and the novelty changed to a wish shop! Thanks! Actually, this article was just about the half mile stretch of Main St. I will mention Nauti Goose in my next one about the community off Main Street. What about the churches? They are important as well! i live in PA and own property in North East as well and i must say this is a great blog. love all the places mentioned.